A RESERVATION MADE IS A RESERVATION PAID. Written cancellations must be received via email at [email protected] by 12pm on May 3, 2019. Thomas, Adams & Associates, P.C. The annual recap of the 2019 cases and legislation community association professionals and residents need to know, as well as the Common Interest Community Ombudsman decisions. Jeanne S. Lauer, Esq., Inman & Strickler, P.L.C. Where do Community Associations get their authority from? What happens if your Community Association oversteps its authority? Jeffrey A. Hunn, Esq., Pender & Coward, P.C. Virginia Department of Professional and Occupational Regulation training is required for re-certification for those who hold Virginia manager licenses and are certified as supervisory and principal employees. 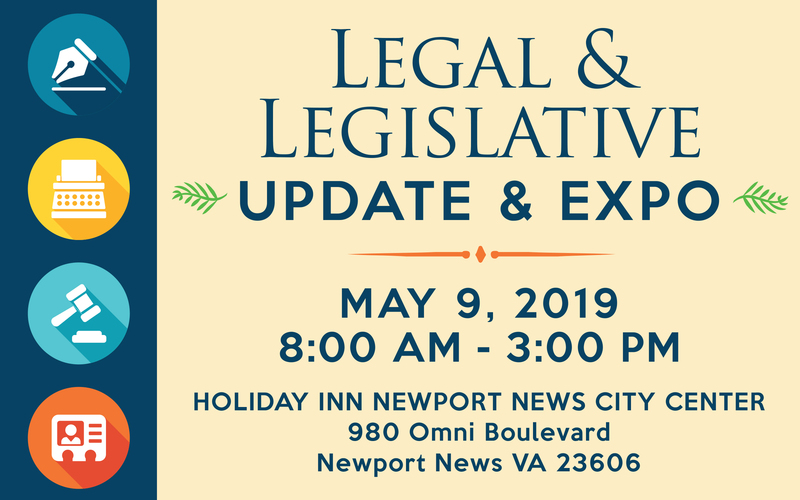 This fair housing training program encompasses Virginia fair housing laws and any updates, all as related to common interest communities. Kathleen W. Panagis, Atty at Law, Whiteford, Taylor & Preston, L.L.P.